"Barts are the Best Sound and Tone. They are the Beast in the Business." Tony has been playing the bass guitar for many years. He has also dabbled (and in some cases plays proficiently!) the following instruments - trombone, drums, piano. But his true musical love is bass guitar. 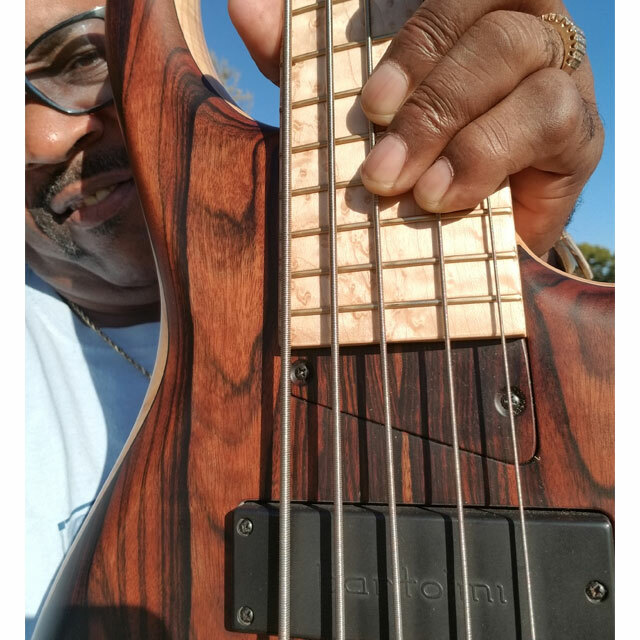 The most important time in Tony's life is when Tony was accepted in the Christian Band of Life to play the bass guitar in church for many years. Tony has played in several churches - from Portland Oregon to Washington State and California. He has played with several Gospel Artists and help to put on workshops and ministry fairs across the Great Northwest. God has also blessed Tony to give back to the community through his business - Anthony Mims Music Corner. It is dedicated to teaching arts to kids in the community. Tony has always given the 2 T's (Time and Talent) whenever and where ever it is requested. Tony majored in Administration of Justice with a Minor in Music. Fun Fact: Tony was a Soul Train Dancer on national TV in his not so long ago teen days.